Power-Web® Flex-Grip. 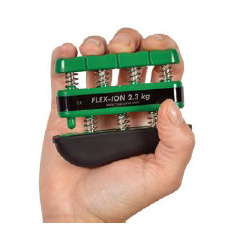 The Power-Web® Flex-Grip is a unique athlete that fits in the palm and offers the possibility of working skill, extension and strengthening of the hands, fingers and thumbs. 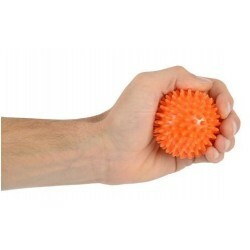 Available in 3 different strengths, the Power-Web® Flex-Grip has holes for the fingers and thumb and has two sides - one side offer a squeeze ball and the other buttons offering and thumb pad to exercise the fingers separate and increase dexterity and strength in the fingers and thumb. 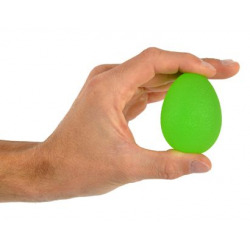 Latex free and easy to use!